I’ve been doing a fair bit of spinning recently. One thing I’ve been disappointed with in the past is undesirable colour pooling with yarn spun from hand-dyed top. As seen on my knotty gloves, large patches of colour can occur with top spun from end to end, especially if chain plied. 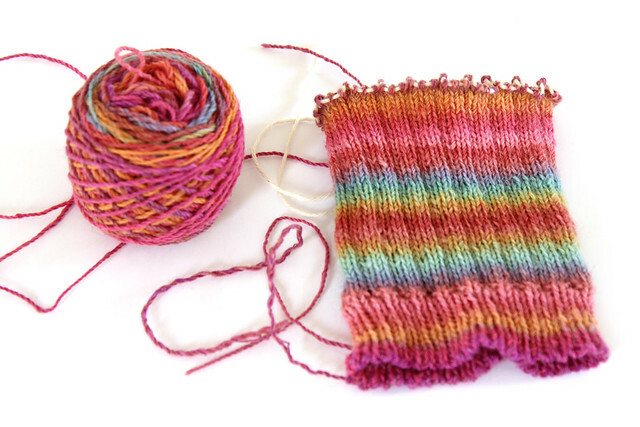 These pools are often not noticeable or predictable at the yarn stage and, depending on the project, can be difficult to manage in the knitted project. 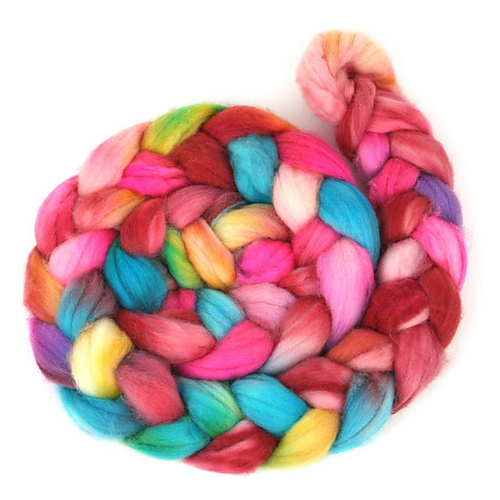 How can this variation in hand-dyed top (which is why we like it after all) be put to better creative use? Plying multi-stranded will give a more blended effect but non-repeating pools are still going to occur. Alternatively, fibre ‘editing’ can work well; in this spinning project I split the fibre into dark and light sections, which I spun separately and plied together for a pretty, marled yarn. Pooling was less of a problem, but still noticeable in the knitted project, as you can see below. 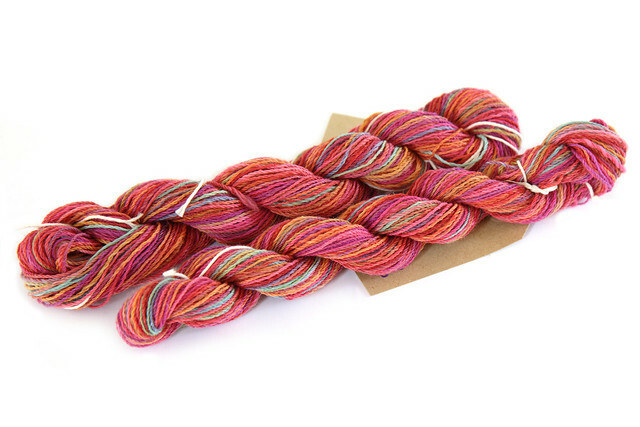 When I picked up some fibre from Spin City’s Etsy shop, this multi-coloured batch demanded an approach that worked with the variation instead of trying to blend the shades. I decided try to create a self-striping yarn by splitting the fibre length-ways into equal-sized strands, spinning each individually, then chain-plying to preserve the colour gradients. It’s hard to tell by looking at the skeined yarn, but I was left with a number of small skeins, each following the same gradient pattern. Success! 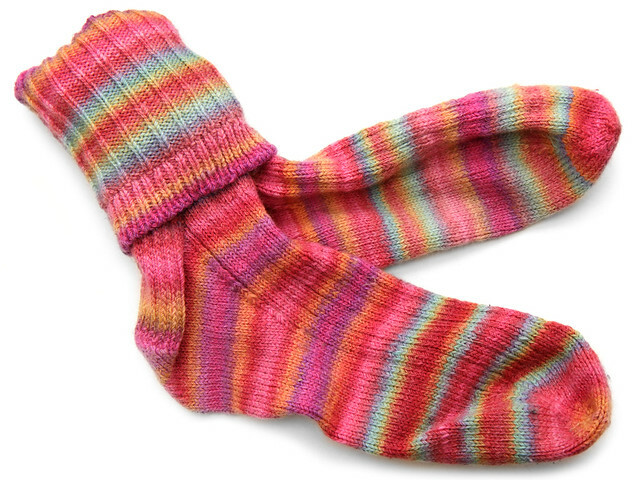 When knitted up, the yarn replicated the beautiful colours of the fibre perfectly. 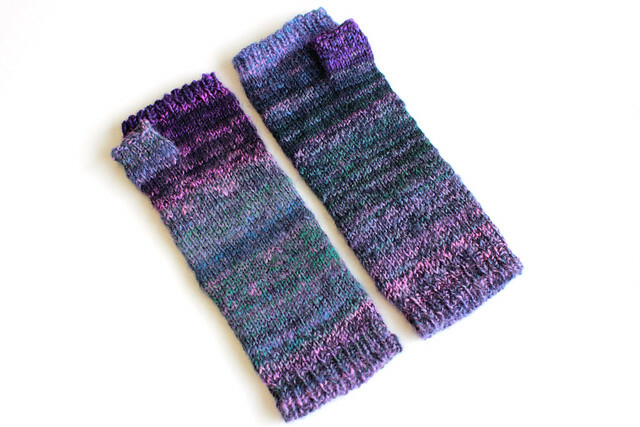 Because the self-striping pattern was predictable and repeating, I was able to make two identical socks. …Well, identical-ish. It’s quite tricky getting the strips even in size, and my spinning is also a bit irregular, but not bad at all!